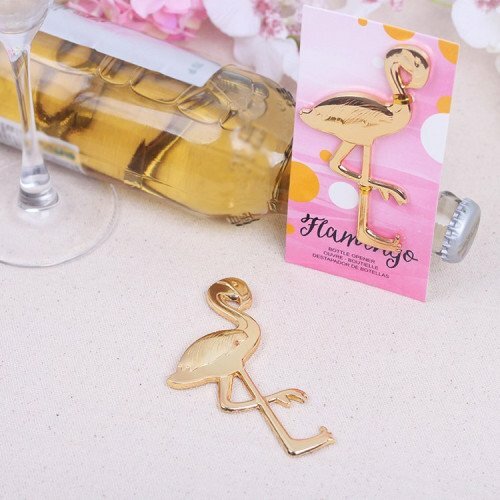 Beautiful and unique, bring a glamorous shine to each table with these golden flamingos! Each bottle opener is presented on a pink and gold themed card backing as shown. Measures: Bottle openers 10cm high x 5cm wide. Gift card Width 6.5 cm, Length 13 cm.